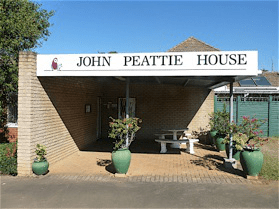 John Peattie House – Page 5 – A Home for Life ! ! ! A Home for Life ! ! ! Our 50th Anniversary Annual General Meeting has come and gone. It was wonderful to see so many people attending the meeting and staying for the “Sheep on the spit” afterwards. We welcomed Heather Roets as a Trustee and Lynne Snedden onto the Management Committee. Our condolences go out to the family of Jean Gillespie who passed away after suffering a stroke. Just a reminder to you that we are a beneficiary of the MySchool Fundraising project. Should you wish to participate please visit their website www.myschool.co.za and fill in the application form. This is an easy way for you, your family and friends to help raise much needed funds for the Home. At the AGM one parent requested for us to provide a Wish List in the newsletter. What we are going to do is concentrate on one theme for the following month, so if you are able to help in any way we would really appreciate it. So for the month of October we are going to concentrate on our Indigenous Garden. For this we need: indigenous plants, wood chips and compost. If you can’t help with these items then a monetary donation towards the garden would be most appreciated. 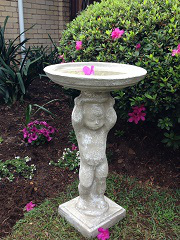 A special thanks to the Hibiscus Rotary Club who held a “Granny Walk” and raised money for the Home. The Conquest had a service. Daisy was dewormed. The Occupational Therapist from the Edendale Outreach programme came at the beginning of the month and spent the day with the Residents. The Methodist Seminary Group dug up the ground in preparation for the Indigenous Garden. Mr &amp; Mrs Robinson started planting trees and shrubs in the indigenous garden. Mrs Robinson also planted plants at the entrance to the Home and in the window boxes and donated a bird bath who has fondly been named “Giovanni”. A group of Wykeham Collegiate learners made cupcakes and brownies for the Residents tea. Pat Harry and a friend from the St John’s United Church attended the monthly Birthday party for Zanny. They bought a present for her and contributed to the eats at the party. PMB Home Improvements have started to fix the rest of the damage caused by the hail storm on 6 February. The monthly Birthday party was held for Alex M-B (32), Kristi (32), Luke (33), Piet (54), Chris (54), Zanny (39) and Ushen (27). Parklane Spar kindly donated the Birthday cake. The monthly haircuts were done. Dr Kirkby continues to do his weekly clinic at the Home. We had three residents admitted to hospital. One for an abdominal hernia repair, one for investigation as to why there was a dramatic weight loss and the other had excision of squamous cell carcinoma, punch biopsy and flap to top right hand side of nose. One resident was seen by a neurologist and had a CT scan. She was later seen by a neuro surgeon to see if the cyst and fluid on the brain could be removed. He advised against the surgery. Another resident was seen by Dr Mashoba at Townhill Hospital for adjustment to medication. There has been a slight improvement with her behaviour. Meryl is on leave and Mari is relieving for her. Lilian had 3 days leave. PLEASE PUT IN YOUR DIARY THE DATE OF THE NATIVITY PLAY – 13 DECEMBER 2015 – 9h30 for 10h00. 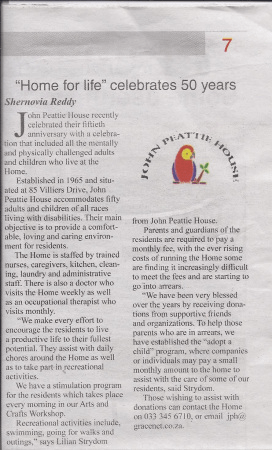 More exciting happenings, the AGM is almost here and this last week saw an article in the Maritzburg Sun (11 September 2015) about John Peattie House (Newspaper Clipping attached). Unfortunately the reporter did give the impression that our AGM has already passed, but do not panic, it has not yet happened. Please do join us on the 20th September 2015. We welcome Giovanni to John Peattie House. Thank you to the Robinsons for the kind donation to the Home. Spring is in the air!! We have had gorgeous warm weather. We have had a few electrical storms in the evenings, but unfortunately no rain. Lesley Robinson spent the morning planting flowers in the beds and flower boxes at the entrance to the Home. She is going to organise an indigenous garden. If you would like to donate towards this project it would be most appreciative. The front wall has been painted giving a new look to the entrance. We would like to wish Mrs Gillespie a speedy recovery after she suffered a stroke earlier on this month. 20 September 2015 at 10h00. 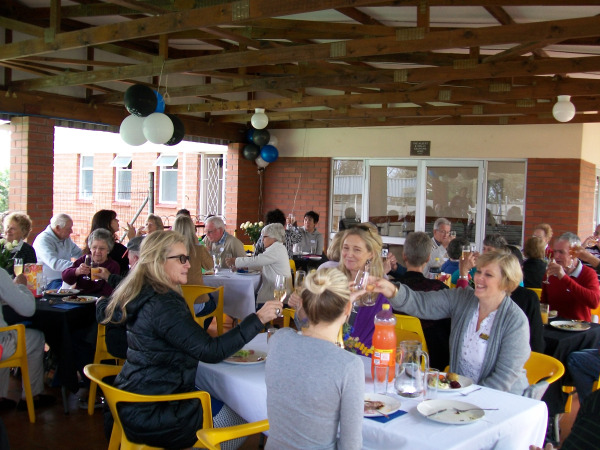 A special 50th Anniversary luncheon has been organised and we would like to thank Feedem Pitseng, Parklane Superspar and Clarendon School for helping to contribute to this function. We would like to request that you let us know as soon as possible whether you would be attending and how many will be staying for lunch. In the interest of the future of the Home, the Executive and Management Committee encourage all parents to attend this meeting. The Contractor will be coming to start repairs for the hail damage next month. The Methodist Seminary Missionary Team came twice this month and weeded the vegetable garden and planted some more vegetables. They also interacted with the Residents. Our Residents have enjoyed spinach, carrots, cabbage and beetroot that have come out of our garden for meals. The NCF Destiney Team came and interacted with a few Residents in the Workshop. Alison Myburgh and ladies came and held their monthly Chapel Service. Gary had to attend to many leaking toilets, water and sewerage pipes throughout the month. He converted the Rainbow suitcase room into a bedroom and time-out room for one of the Residents who enjoys to be isolated at times. 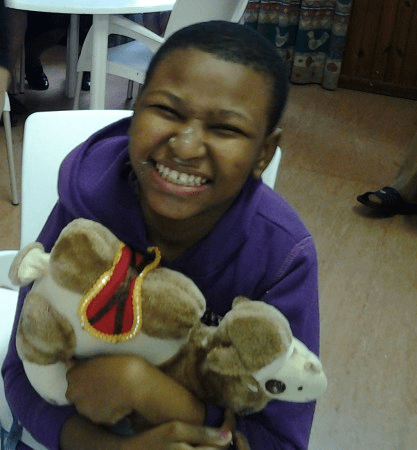 The monthly Birthday party was held for Thandeka (23), Simon (42) and Pieter Vermaak (26). Parklane Superspar kindly donated the monthly birthday cake as well as the vienna’s on a Friday evening. Mr Schiffler saw four Residents for foot and nail treatment and a follow up for one Resident. Dr Balakrishnan saw 2 Residents this month. One for a follow up where he was very happy with the healing of a graft and the other Resident will have to have a procedure later on in September. The Townhill Psychiatrist saw one of our Residents a few times this month to help with behavioural problems. One Resident was taken to CB Wright for a fitting of a leg brace. After having a query T.I. A she has been referred to a neurologist in September. The dentist, Dr De Wet, saw one Resident who had a dental check- up under a light GA in the chair. Dr Maharaj saw one Resident for a full medical so that he can get the SASSA disability grant. One Resident had trauma to the face and was taken to hospital for Xrays and CAT scan to check for any damage. All was normal, just soft tissue damage which could have been caused by another Resident. Dr Kirkby came to do his weekly Clinic and saw Residents for different ailments such as pneumonia, U.R.T infections, increased seizures, tooth abscesses, cellulitis and constipation. Primrose Ntshele, who worked in the kitchen, passed away after being hospitalized with a stroke. Janet Delport has been on leave 3 weeks, the Relief Supervisor, Mari has been relieving her on night duty. Meryl van der Merwe was booked off sick for a week. Karin and Sheila have been relieving for her. Please remember to let us know whether you will be attending the AGM on 20 September 2015 at 10h00. The fencing beside the driveway has been painted. And it’s received a colour change in the process. Thanks to Anne, Karin and Lilian for their work in making the necessary arrangements to get this done. And thanks also to our temporary painter Emmanuel on a Job well done. While this was all going on, Lesley Robinson kindly volunteered her time to help get our gardens in shape and what a transformation. Lesley truly has a gift for this and our gardens are looking beautiful once again, a Big Shout Out to her. Unfortunately the photographer was too busy with these projects to get us pics of the transformation, but that’ll soon follow, watch this space. Hello and welcome to our site, we hope you find all the information that you need. 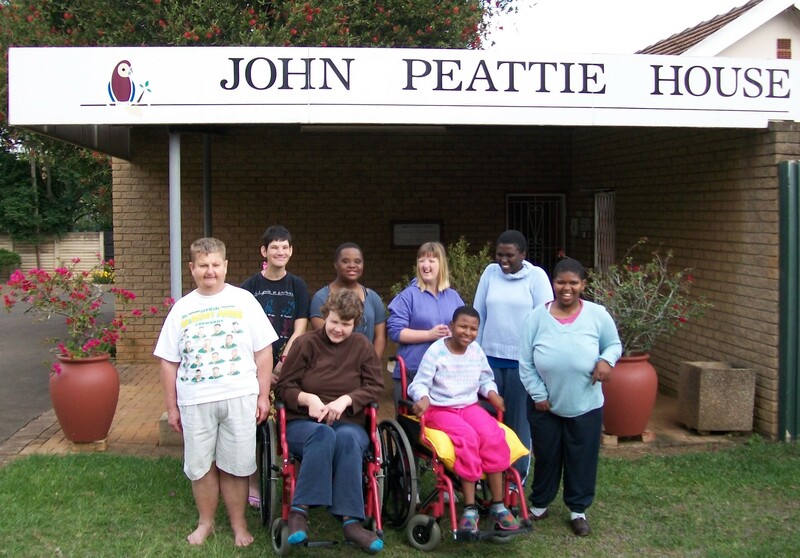 John Peattie House is a non-racial, residential home for life for the mentally and physically challenged. 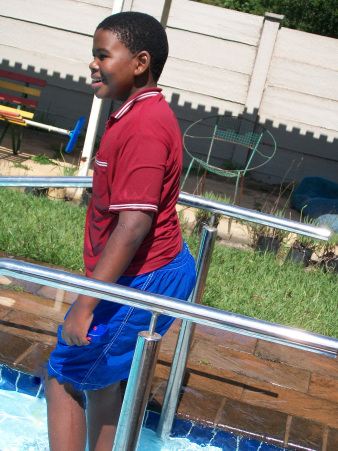 Situated in Pietermaritzburg we provide a comfortable , caring and loving environment for the residents. Visitors are welcome, we ask that you contact us to make arrangements. Residents at John Peattie House Entrance ! ! ! Entrance to our Chapel ! ! !